Tea. In the bath. A bath of tea. For crying out loud! I did not know it was possible and/or socially acceptable to bathe in the elixir of life. Anyone whose been putting up with me for a while now will know I have a thing for tea. As in, I drink double digit amounts every day, and could’t imagine functioning without it. Seriously. I carry around emergency tea bags…that’s normal right? Maybe it’s a British thing, or just a Sarah thing, but I’m a tea-junkie, hey, there are worse things I could be addicted to! On a recent trip to Whittards to stock up on some tea-goodness, Mr spotted something rather interesting as I was paying at the till. Bathtub tea. Yup. Tea for the bath. I didn’t even read the box, I just took it straight from his hands with a smile on my face and added it onto my pile of purchases. As soon as we got back in the car to go home, I investigated this strange new way to take tea. Firstly, you can’t drink it…even my love for tea does not go as far as drinking tea infused dirty bath water! The pretty pink package contains 4 jumbo tea bags scented with lemon balm and lavender. When they say jumbo they mean it, oh how I wish I had a tea cup big enough to take a tea bag this size! Tea-ven much? Each teabag contains; lemon balm, rose hip peels, peppermint leaves, lavender, passionflower leaves, valerian root and…flavouring? I’m stumped on the ‘flavouring’ seen as though you can’t drink them? The teabags are just like regular tea bags, the same silky fine mesh that make a satisfying crinkling sound as you squish them up under your nose to take a good sniff. The peppermint, lavender and lemon are really prominent when you smell the tea bag, making this one calming, herbal blend that smells good enough to brew up and drink…but I must remember I can’t! 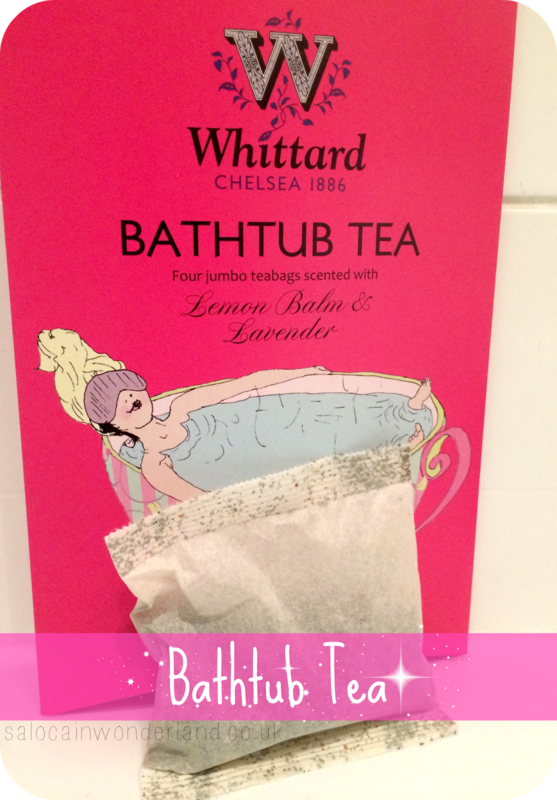 When it’s time to get your brew on, simply fill the bath to your preferred temperature and chuck in one jumbo tea bag. Don’t let it ‘steep’ in the bath for more than 5 minutes as they say it can cause tea stains so don’t over steep and clean your bath once it’s drained. I’ve lost many a favourite mug to tea stains, but they’re easier to replace than a tea-stained bath that’s for sure! I left the bag floating around in the bathtub for 5 minutes and came to witness…not much. The scent was certainly there, my bathroom smelt strongly of lavender and lemon which was very pleasant but the bath itself left much to be desired. 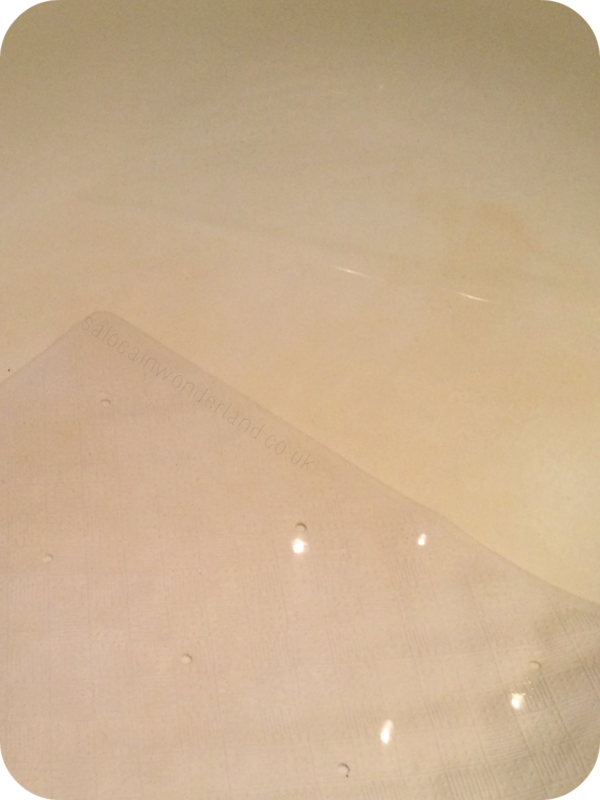 There was very little colour to the water, so, as I do with all my tea bags, I gave it a squeeze…that traditional brown ‘tea’ colour came forth but not enough to give me anything to worry about with regards to the tea staining. So I gave it a squeeze again…and again, until the tea bag ripped and loose leaf started to float out. The water eventually had a very pale, weak tea colour to it, which hardly stood out in my very bright white bath tub. No bubbles, though I wasn’t expecting those, who wants a foamy tea? I do however, want a bubble filled bath so I added in a couple of scoops of my Body Shop Vanilla Brûlée Bath Jelly. This not only filled my bath with bubbles but the added vanilla aroma intertwined with the lemon and lavender and I swooned. Yes. I swoon over tea. And baths. If you, or someone you know loves tea as much as I do, and bath time, this is a brilliant novelty gift that is sure to put a smile on their face. I’ve never seen bath-appropriate tea before and now I know it exists, tea time and bath time just got a whole lot more involved with one another! 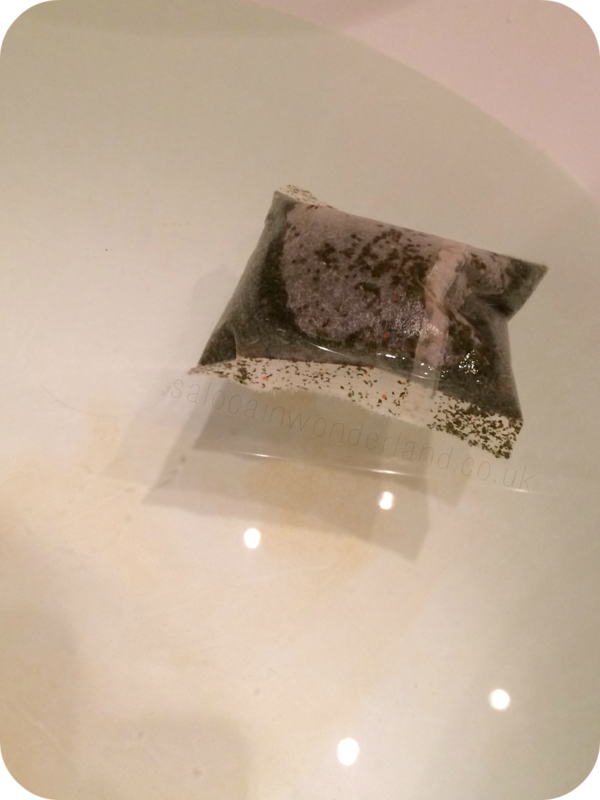 Have you ever tried putting a tea bag in the bath? Any speciality bath-tub friendly brews you can recommend? Let me know in the comments below! I love tea too. I have those big double sized mugs and can drink it by the bucket loads! TEA IN THE BATH LIKE OMFG! I have one REALLY big mug that I have to use to make the first brew of the day or I'm like an extra from The Walking Dead! I used to have one so big it was about the size of a cereal bowl...pretty sure it gave me caffeine issues haha! I put about 3 or 4 handfuls of the bath jelly into the bath and swirl my arm around in the water like a kid playing in the bath! The bubbles are nowhere near the height of Lush bubbles, but it at least covers the surface of the bath water with some suds! It's such a novel-tea, I love it! I know a few tea-buddies of mine who would get a kick out of it too!